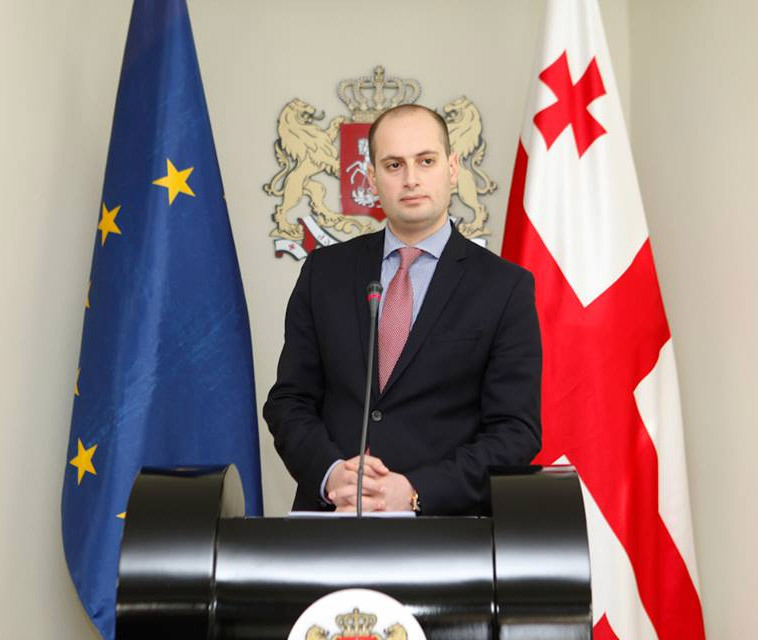 Priorities of the Chairmanship of Ukraine in the Organization for Democracy and Economic Development – GUAM during 2019. Priorities of the Chairmanship of the Republic of Moldova during the GUAM Chairmanship 2018 as well as the Program of the Chairmanship. 2017 marks the 20th anniversary of establishment of GUAM as the regional format of cooperation between Georgia, Republic of Azerbaijan, Republic of Moldova and Ukraine. During this period of time, Organization for Democracy and Economic Development – GUAM has successfully strengthened its status as a full-fledged international regional organization in the global arena. Today, GUAM Member States continue working actively on implementing the goals and objectives set in the statutory documents of the Organization. The agenda of GUAM covers the issues of political interaction, sectoral cooperation, development of partnership in GUAM+ formats and inter-parliamentary dimension. From January the 1st Georgia took over the Chairmanship of GUAM in 2017, which will be held under the Chairmanship Program – «Together for Stronger GUAM». The Republic of Azerbaijan will bend its efforts to implement projects and programs of cooperation, to continue political interaction within the Organization including at international venues and to develop cooperation with international organizations and partner countries. The chairmanship will promote the further development of sectoral cooperation in accordance with the GUAM major goals, decisions and recommendations of the Council of Heads of State including those specified in the Statement of the Heads of State of the Organization for Democracy and Economic Development – GUAM on the development of the GUAM transport corridor and the decision of the Council of Heads of State on intensification of GUAM sectoral cooperation adopted at the Batumi Summit on July 1, 2008, as well as in the GUAM Sectoral Cooperation Strategy adopted by the Baki Summit on June 19, 2007. In this context, the Chairmanship intends to give priority to continuing cooperation in such areas as economics and trade, transport, implementation of the GUAM transport corridor concept, combating crime, cybersecurity and tourism. The chairmanship will also contribute to the continuation of political interaction within the GUAM aimed at ensuring the sovereignty, territorial integrity and inviolability of the internationally recognized borders of the Organization’s Member States, promoting common approaches to the settlement of long-drawn-out conflicts in the GUAM space. At the same time, the Chairmanship will be guided by the position set forth in the GUAM Charter and the Joint Declaration of the Heads of State of the Organization for Democracy and Economic Development – GUAM on the settlement of conflicts of May 23, 2006. The Chairmanship intends to facilitate the interaction of the GUAM Member States at international venues on issues of mutual interest, as well as the development of cooperation with international organizations and partner countries. The chairmanship will also promote inter-parliamentary cooperation within the GUAM Parliamentary Assembly, as well as its interaction with the Parliamentary Assemblies of other international organizations. During 2014, events took place in the GUAM region, which will have long-term consequences for the whole system of international relations. The Ukrainian Chairmanship believes that the potential of interaction accumulated in the Organization today is in demand more than ever and has every chance to be materialized. The need to substantially strengthen political cooperation, aimed primarily at ensuring the territorial integrity and sovereignty of the Organization’s Member States, and in this regard – widening the circle of GUAM’s international partners. The return of the dynamics of the economic development primarily related to the solution of the tasks to create the FTA operation tools and practical actions for the implementation of the GUAM Transport Corridor concept, as well as the use of the potential of cooperation with the EU, including taking into account the signing of the Association Agreements. Completion of the work on the implementation of joint GUAM and US projects in the field of law enforcement cooperation and the formation of proposals for continuing cooperation, primarily in the field of ‘soft security’. Implementation of a framework program for cooperation with Japan ready to be adopted. The widening of the GUAM tasks implies the improvement of coordination mechanisms, the development of the legal and regulatory framework and the enhancement of the Secretariat’s capacity. The Chairmanship intends to invite Member States using all opportunities (legal, institutional and organizational) to significantly enhance cooperation in the GUAM format. The Organization for Democracy and Economic Development – GUAM has successfully established its status as an organisation operating within the international system, both at the regional and international levels. Georgia’s active chairmanship during 2013 brought a new impetus to the Organization and shall be commended. Moldovan chairmanship will consolidate the progress achieved and will further promote it. The Vilnius Eastern Partnership Summit has defined the European identity of the GUAM space and highlighted new challenges, while, at the same time, opening new opportunities. The Chairmanship believes that, in the post-Vilnius era, cooperation between GUAM member-states towards European advancement is acquiring a new dimension. The Chairmanship will promote the solidarity of GUAM by strengthening its collective authority and dialogue with the European Union. The Chairmanship deems it possible and necessary to further intensify the sectoral cooperation within GUAM, which entails materialising the Organization’s wide capacity and the basis of quadrilateral cooperation. The Chairmanship welcomes the launch of four specialised Committees of the Parliamentary Assembly, and, in this connection, will further contribute to the strengthening of the parliamentary cooperation. Particular attention will be paid to the cooperation with European parliamentary institutions, primarily with the European Parliament. In broader terms, the Chairmanship will promote dialogue within the Committee of National Coordinators and the Council of Foreign Ministers for close coordination of joint actions of GUAM member-states to further promote political cooperation and better realise the potential of the quadrilateral cooperation. The Chairmanship relies on the support from member-states and the GUAM Secretariat, and intends to actively involve all of the Organization’s institutional and organizational capacity in order to promote GUAM’s image in the international relations system.